When you look at your job search to-do list, do many of the items on it look all too familiar? Have entries like “call Donna Sanchez” and “follow up with Floyd Corp” been copied from a previous week? Putting off unappealing tasks may be human nature, but for a job-seeker, procrastination can be deadly. When you delay contacting a prospective employer, the position may be filled before he hears from you. If you fail to follow up promptly on a lead from a friend, you may forfeit an ideal opportunity. 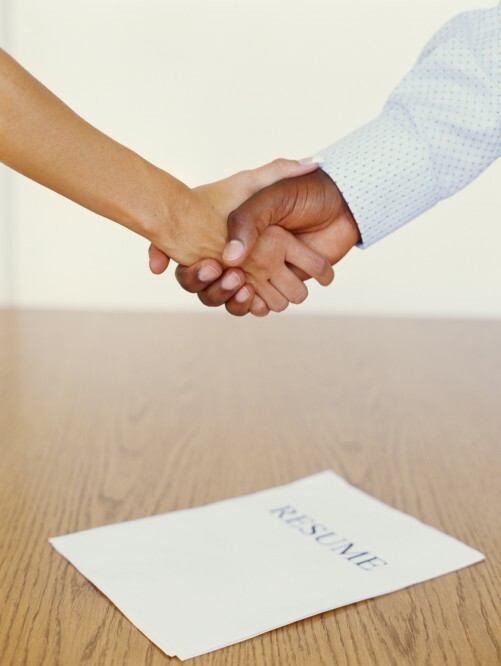 Lost job search time often cannot be recovered. By the time you realise it has been 10 days since you heard about a particular opening, it may already be too late. Finding tasks on your to-do list week after week is a clear sign you are procrastinating, but it is not always this obvious. Can you identify with any of these situations? • Feeling overwhelmed: You have a backlog of things to do that seems insurmountable. You wake up in the morning already thinking about everything you must accomplish that day. It seems impossible to fit in time for your job search. If you are routinely unable to complete what is on your daily agenda in the time you have available, you may be creating the problem yourself by putting tasks off indefinitely. • Making excuses: You find yourself constantly having to make excuses to your friends, colleagues or job search buddies about why you never followed up on that great referral, why that important call wasn’t made, why your resumé wasn’t sent, or that letter wasn’t written. After a while, the excuses begin to sound flimsy, even to you. • Trivial pursuits: You notice that your job search time is consumed by low-priority chores — rearranging your desk drawers, filing business cards you collected last year, shopping for just the right resumé paper — while you neglect crucial and time-sensitive job-seeking activities. • Too many job prospects: A form of procrastination unique to job-seekers is continuing to look for new job opportunities instead of following up on the ones you already know about. If you are spending more time surfing Internet job boards or reading the wanted ads than you are picking up the phone or putting your fingers to the keyboard, this problem may be yours. If you are procrastinating, what then? Change this habit by getting in touch with your motivation to find a new job. What rewards, tangible and intangible, will be yours when you find the job you are looking for? Remind yourself of that payoff on a daily basis. Post a picture or note that represents those rewards to you on your calendar, phone, or computer. Create more accountability for yourself by telling a job search buddy, support group or career coach exactly what you plan to get done each week. Ask them not to accept any excuses from you, and to remind you why you said you were doing this in the first place. You can partner in this way with a friend by setting up a weekly check-in where each of you reports to the other. It may take time to break the procrastination habit, so give yourself permission to fail a few times. Remember that even a small amount of progress will take you closer to landing the job you want. Article by C.J. Hayden, a master certified coach, a recognised leader in the coaching profession and co-author of Get Hired Now. For more information, visit www.gethirednow.com.